Lifting Equipment | Repair Management Nederland B.V.
Repair Management Nederland is already for many years dealer for Estil. 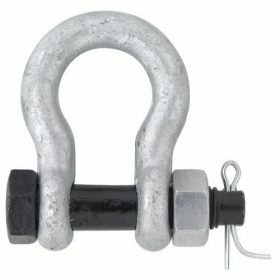 This company is well known for a range of high quality tools for lifting. 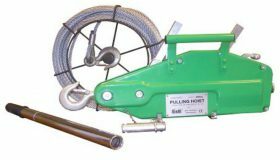 A full range of hoists, green- and yellow pin shackles, portable hand winches, hydraulic jacks, steel lifting jacks, lifting clamps, barrel lifting clamps, slings etc. is available. All this materials supplied with an EU conformity or if required with a separate testing certificate. 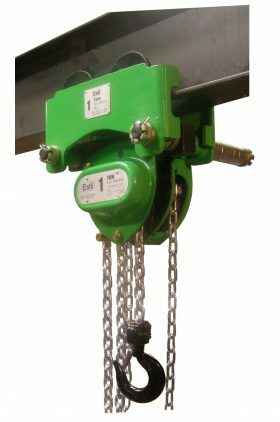 The EST series Chain Hoists is a extremely solid and compact chain hoist. 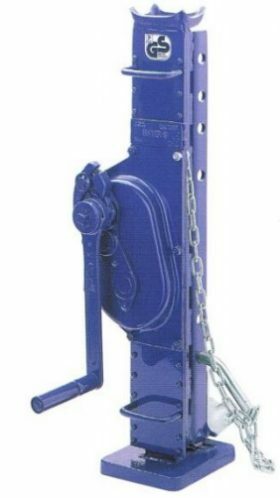 A special Hoist Trolley EDLV is developed for this series of chain hoists to achieve a very short height. 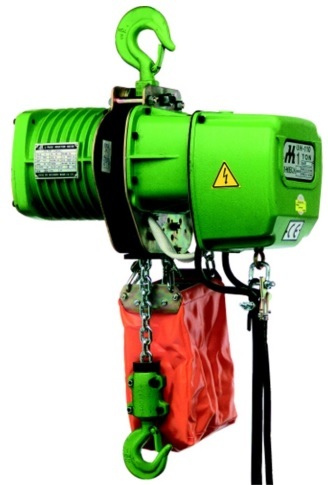 The hoists are available with a lifting capacity from 250 kilo up to 20.000 kilo. 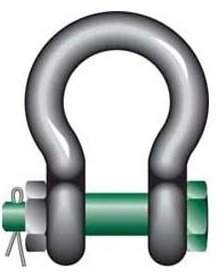 Beside this series we offer also the Estil types UB and EH2 chain hoists. The UH and ULH series of Estil Electric chain hoists are available in 230Vac and 400V power supply. The most common hoists in this range are from a lifting capacity of 500 kg up to 2.000 kg, but bigger capacities are also available. 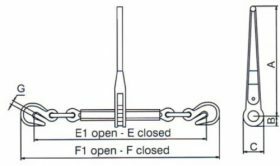 This electric chain hosts can be combined with electric trolleys to become a perfect combination for your workshop or on board of your vessel. Lifting heights, lengths of power cable, control lengths all can be adapted to your requirements. The UT series of Estil electric driven trolleys are specifically to combine with this electric chain hoists. The Series ETT Hand-Lever Hoists can be used in all directions and due to the extremely compact design and low weight makes this hoist very useful for maintenance and service jobs. 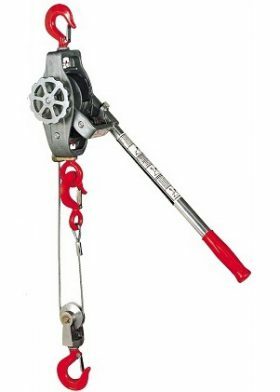 The hoists are available with a lifting capacity from 250 kilo up to 6.000 kilo. Beside this series we also offer the Estil types UL and EPT hand-lever hoists. Estil offers a wide variety in Hoist Trolleys which can be used in combination with manual and electric chain hoists. The series (plain trolley) EDLV and EHLV (geared trolley) are especially developed to use in combination with the series EST chain hoists. Beside this type we offer also the Estil type EDL and EHL and the Estil types EDS and ESH trolleys. The plain trolleys EDL are available with a lifting capacity from 250 kilo up to 10.000 kilo and the geared trolleys EHL are available with a lifting capacity from 1.000 kilo up to 20.000 kilo. 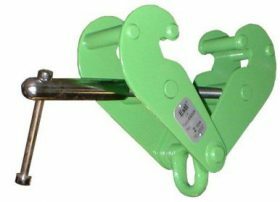 Estil Beam Clamps for a fast and safe suspension point for lifting equipment, wherever a steel beam is present. The series EBK is available with a lifting capacity from 1.000 kilo up to 10.000 kilo and the series EBO provided with a hinged lifting eye and a lifting capacity from 1.000 kilo up to 5.000 kilo. 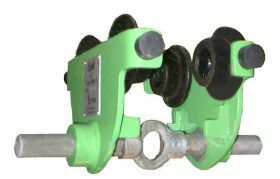 Estil Steel Wire Lashing Device SL, a lightweight aluminium lashing device with a capacity of 500/1.000 kilo tot 900/1.800 kilo. Pulling force can increase simple by making a double parts lower block. Lashing device can be used horizontal, vertical and diagonal. Estil Steel Wire Hoists series EPS (lightweight steel casing) and EPH (lightweight aluminium casing) are available with a lifting capacity from 800 kilo up to 3.200 kilo. Both devices are protected with an overload shear pin that breaks at 25% overload. Shear pins can easily be replaced under load. 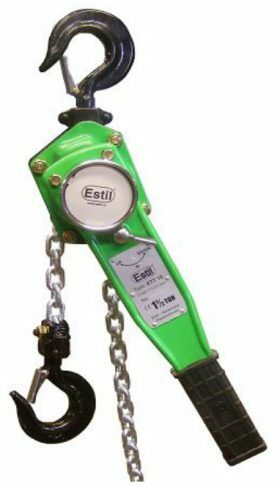 Estil Scaffold hoists type CWS, lightweight and compact. 230 volt powered. Equipped with a limit switch for lowest and highest point. Protected against wrong winding of the wire. Power and control cable can be dismantled for safety in work breaks and transportation. 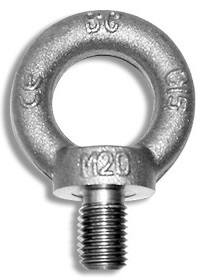 Can easily be combined with the Estil CRH-0710 Swivel-arm with a reach of 180°. Optional available CWH-10, 10 meter extension control cable. Estil Barrel lifting grabs type TVK with a lifting capacity of 500 kilo. This type of barrel lifting grab has got an automatic locking system. 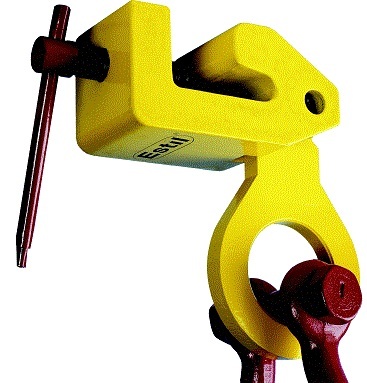 The grab can be used separate or as a pair for lifting a barrel. The jaw opening is 0-17 mm. Another type is the Estil TVKH6 which is specific for vertical lifting of a barrel. This grab is simple to us by using the handle for lock and unlock the barrel. The lifting capacity is 600 kilo. 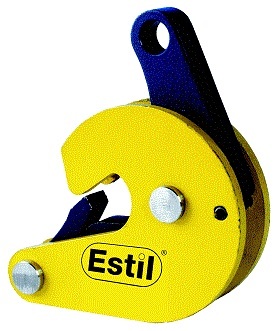 Making a temporary lifting point is easy by using the Estil TBS screw clamps. Used in engine rooms on board of a vessel on HP Bulb beams makes this a great tool. For hydraulic lifting Estil can offer now a full range with hydraulic jacks, manual hydraulic pumps and electric hydraulic pums. 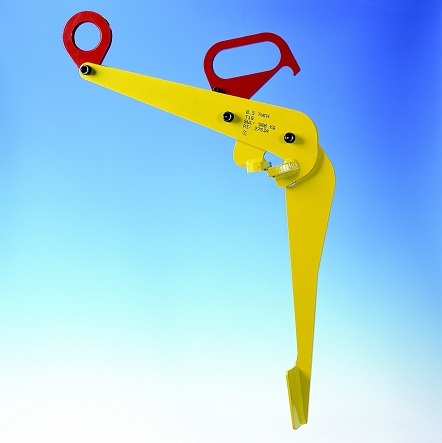 The hydraulic lifting cilinders are available from 10 ton up to 200 ton. The Estil Endless type Slings RS and Belt type Slings PH are available from 1 Ton up to 10 Ton in many different lengths. All according to NEN-EN 1492-2 (endless slings) and 1492-1 (belt slings) with a safety factor of 7:1. Also available as combination from 1-leg up to 4-leg types with master link and lifting safety hooks. Protective covers for protection against damage caused by sharp edges. 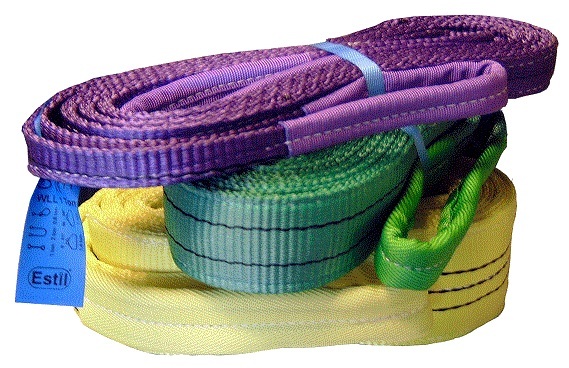 All Estil Lashing Straps are produced according to EN 12195-2 and DIN 60 060 and provide cargo safety. Lable with all needed product info is attached to the strap. For cargo with sharp edges what can damage you cargo strap we offer special corner protectors. 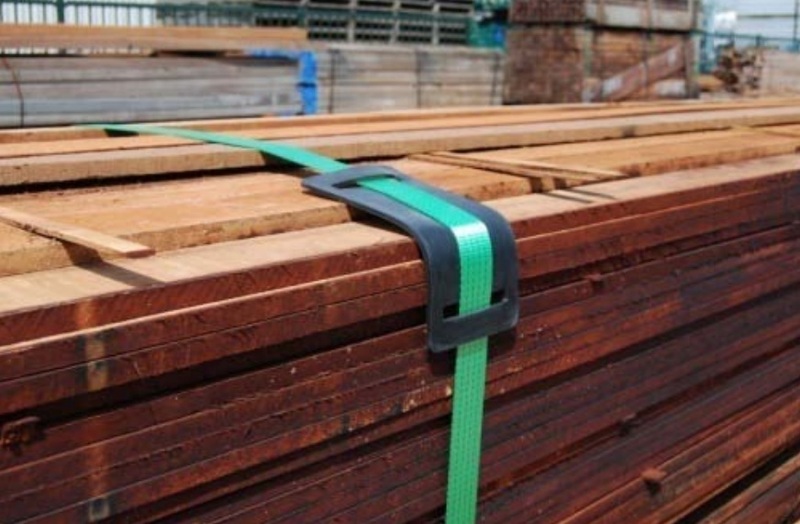 Cargo straps are available with hooks and ratchets or with buckles depending on load capacity and application. Cargo nets are available in 2 different mesh opening dimensions. Available 10 different types. From a standard 2.000 kilo capacity truck up to a full stainless steel type. For the most common jobs the type EPW25 is the right tool with a lifting capacity of 2.500 kilo, complete with tandem wheels. With a fork dimension 1150 x 540 mm makes it very useful for EURO PALLETS. Special short versions type EPKW for small turning circles and weighing types with a capacity up to 2.000 kilo. For areas where corrosion can be an issue for standard pallet trucks type EPWG in galvanized steel and type EPWR in stainless steel is a great solution. 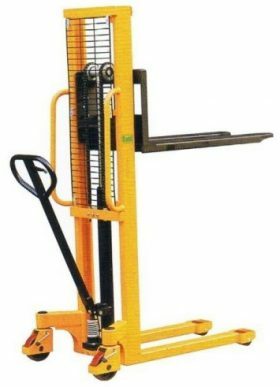 Available with a hoist type ELS, capacity 250 kilo up to 1.000 kilo and as a hand hydraulic stacker type EHS with a capacity of 1.000 kilo. 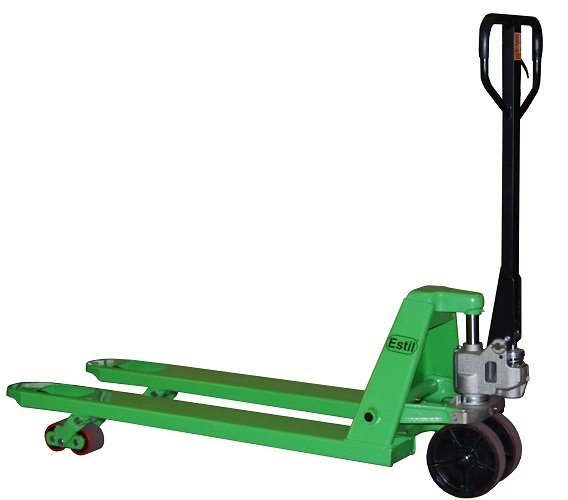 The ideal tool for places where a pallet truck is not avialable or too expensive. 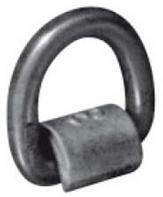 Available in several types and load capacities from 1.5 to 10 Ton. Estil Bow Shackles and Straight Shackles in series Green Pin®, Yellow Pin® and Black Pin®. Load capacity from 0.33 up to 85 Tons. 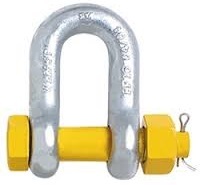 To make fast and easy a lashing point to a steel surface. 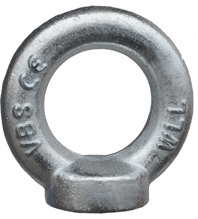 Bolts and nuts according to DIN 580 and DIN 582 to create a lifting point on products without a standard lifting point or difficult to handle products. Turnbuckle lashing wrenches for use in combination with lashing chains and lashing hooks.